Spider: Rite of the Shrouded Moon created by Tiger Style is a puzzle game that’s literally a complex and intricate web of mystery. If there’s a puzzle game where you have to get this year, then it’s this one. Fans of the original Spider: The Secret of Bryce Manor also should not hesitate to pick it up now. 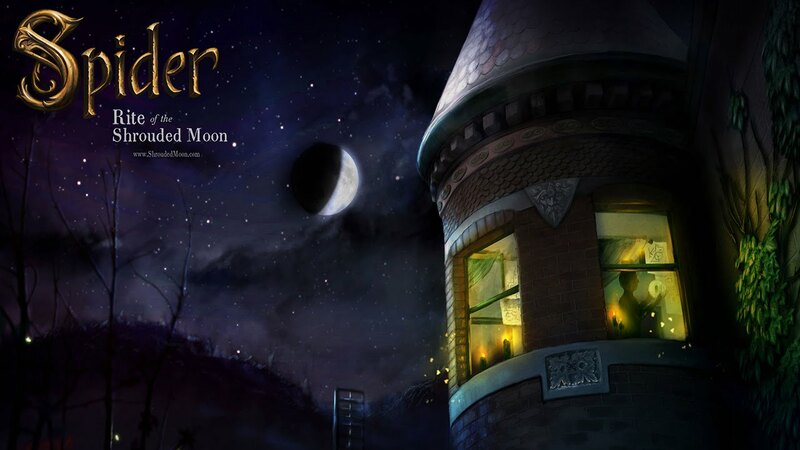 Similar to other puzzle games, the Shrouded Moon Rite is also based on a series of levels that are various rooms and sections of an abandoned mansion. As joining the game, players will take the role of a spider and move through each room, one by one, in linear order while covering everything in cobwebs. Yep, the game’s objective here is to guide the spiders through the rooms while trapping and catching bugs to open the portal and then get to the next area, but there is more to it than that. The mansion was made by a secret organization for a mysterious purpose, and juts only you can discover the truth about it. There’ll be many secret passages to explore and even the secret message that you will have to decipher. Since you are a spider, it will not be hard to slip through the cracks and crevices that humans wouldn’t be able to see. What’s make Spider: Rite of the Shrouded Moon special? One thing that makes the game so special, though, is the fact that it changes mood depending on time and weather in real life. It will prompt you for your location that determines if it’s day or night in the game, and whether it’s clear or stormy outside. Visually, the images in the Rite of the Shrouded moon looks stunningly gorgeous, and certainly one among the most beautiful games you can choose this year. The various rooms of the abandoned mansion are rich in textures, colors, and fine details, so it’s clear how much time and effort went into making the game. Animations are also butter smooth, coming with soothing soundtrack. Well, control of the game are quite simple and intuitive, despite the fact that it may take a little bit of time to get used to if you have never played the original game before. You move the spider forward or backward by long-pressing on the appropriate side of the screen. When you need to jump, just swipe on the spider. To build webs, you need to tap on the spiders before jumping into using a silk thread.